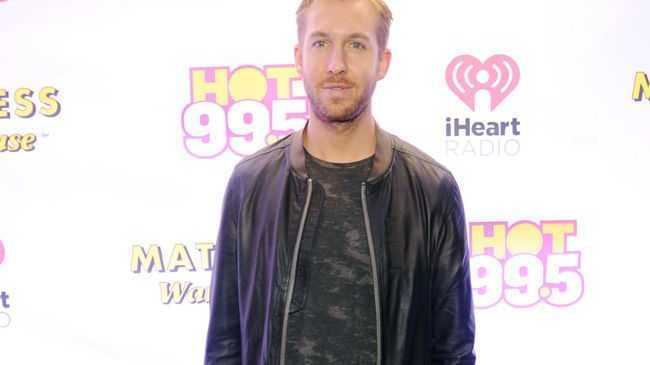 CALVIN Harris is reportedly planning a break-up song about his split from Taylor Swift. The Scottish DJ is apparently working on a song concerning his abrupt break-up from the 'Blank Space' hitmaker, and is considering drafting in Kanye West and Rihanna for the recording sessions. A source said: "Kanye is up for doing something with Calvin and Rihanna and now Calvin's no longer with Taylor anything is possible." It has been reported, too, that Taylor's new romance with actor Tom Hiddleston has led Calvin to have a rethink about the album. The insider told The Sun on Sunday newspaper: "Calvin feels that talking publicly is not the way to go, but expressing things in music is the better option. "He's currently working on some new music and has been milling over some tunes about heartbreak, deceit and lost love." This comes shortly after it was reported Taylor dumped Calvin over the phone, thereby mirroring how her ex-boyfriend Joe Jonas ended his relationship with the chart-topping singer in October 2008. Taylor, 26, is said to have called Calvin to end their relationship at some point after he was injured in a car crash. The singer was rumoured to have been very vague with her former lover, simply telling him that she just needed space. However, Taylor previously slated Joe for ending their romance in a 27-second phone call. Speaking in 2008, the blonde beauty said: "It's all right - I'm cool. You know what, it's like, when I find that person that is right for me, he'll be wonderful. When I look at that person, I'm not even going to remember the boy who broke up with me over the phone in 27 seconds when I was 18. "I'm sorry. I had to. [The split] was, like, a record, I think, for how quick. I looked at the call log - it was like 27 seconds. That's got to be a record." Plans for Prince: The Musical?